As the lights dim and the opening chords of the Four Season’s hit ‘Oh! What a Night’ echo throughout the auditorium, it is instantly apparent you’re in for a pretty brilliant one thanks to the current touring production ofBroadway and West End smash hit - Jersey Boys. Not the typical jukebox musical, Jersey Boys successfully avoids stereotypically churning out a back catalogue of hits and instead focusses its narrative on the democratic nature of the Four Seasons as a bandwith each member retelling their version of events throughout the course of the show. Featuring acaptivating script by Marshall Brickman and Rick Elice that flawlessly fuses together the Four Seasons’ story with the magnificent close harmony arrangements of their iconic hits, Jersey Boys imminently proves a production with higher aspirations and indisputable stylethan the modern jukebox genre. Director Des McAnuff effectively creates a dynamic yetbrisk show that effortlessly zips from scene to sceneallowing little opportunity to applaud between numbers. However when the time comes (with songs such as ‘Big Girls Don’t Cry’, ‘Sherry’ and ‘Walk Like A Man’) the auditorium roars (and often sings along) in delight. More technically, Klara Zieglerova’s cleverly constructed set with Howell Binkley’s vibrant lighting design (and other technical elements) work seamlessly to benefit the aesthetic vision and progression of the production. Unlike other musicals, none of the superbtechnical work detracts from the reason we are there – the Jersey Boys themselves. What makes live theatre pop is the individualperformances of the principal cast and the company of Jersey Boys deliver their retrospective roles to perfection. The character of Tommy DeVito is charismatically brought to life by Stephen Webb who gives a raw and unashamedly enjoyable portrait of a man torn between the life he desires and the life he chose. Lewis Griffiths as Nick Massi reverberates the deepest notes known to mankind and punctuates scenes with superb comic delivery while Sam Ferriday’s portrayal of Bob Gaudio is both effective and engaging. Tim Dreisen, however, in performing as Frankie Valli – right down to the soaring spectacular falsetto and unique tones of the lead singer – is absolutely breath-taking. The easy route would be to ‘mimic’ Valli and end up representing a mere caricature, but Dreisen (and the production as a whole, for that matter) encapsulatesevery beat of the journey that Valli goes on and should be credited for his honest yet emotive portrayal. As a Tony, Olivier, and Grammy award winning musical, Jersey Boys is an undeniable must-see worthy of its high-profile merits. Perhaps it is poignant and appropriate, then, that Jersey Boys is all at once a near indescribable joy, difficult to categorise and musically mesmerising. Much like The Four Seasons. 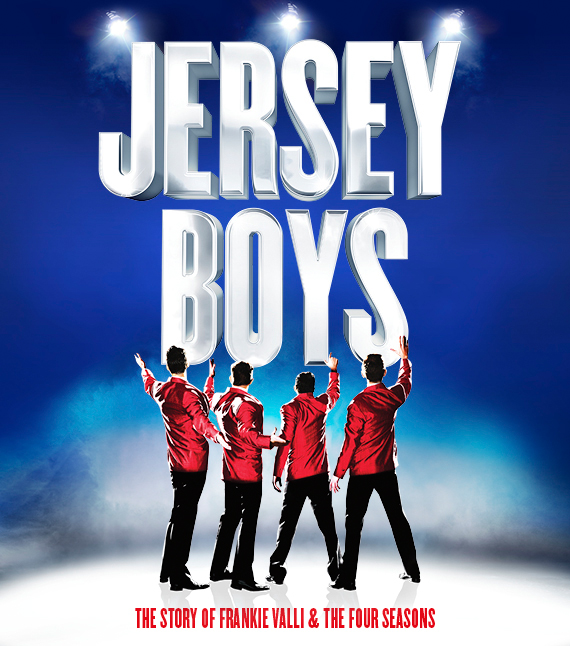 As the saying goes, ‘seasons may change’ but Jersey Boys is a production that is ‘just too good to be true’. If you can’t buy a ticket, you should be ‘beggin’’ for one before the production ‘walks like a man’ out of Edinburgh and continues on its inaugural UK tour. Your eyes will adore it. Jersey Boys is at the Edinburgh Playhouse until 25th October. For tickets and information visit the Edinburgh Playhouse website.